Email a question and get an answer in four to five working days. You can also search for answers to frequently asked questions and get regular updates. This contact method is available worldwide 24 hours a day, seven days a week. Enter the Ask a Question site. 888-GIBILL-1 (888-442-4551). Call between 7 a.m. - 6 p.m. Central Time, Monday-Friday. Students and School Certifying Officials calling from outside the United States can contact us by phone at 001-918-781-5678 during business hours, 7 a.m. - 6 p.m. CST, Monday - Friday. This is not a toll-free number, but the caller will be routed to the next available customer service representative. This is for overseas customers only, all others should call the toll-free number or contact us at the Questions and Answers section of this website. Email technical issues with this website to 223D.VBAVACO@va.gov explaining the problem. 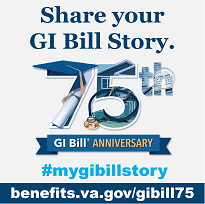 All other questions regarding GI Bill benefits should be directed to the Ask a Question section of our website.